A balanced blend of sweet orange and vanilla flavors creates a classic summertime soda. Fitz’s vintage soda bottling line consists of equipment that was typical of bottling plants operating in the United States during the 1940s and 1950s. After searching the country for authentic vintage equipment, they found their bottling line sitting in a barn in Shawano, Wisconsin. Each piece of equipment was painstakingly taken apart and rebuilt prior to being placed in in St. Louis, MO in 1993. 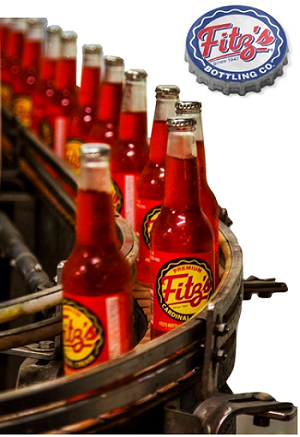 All of Fitz's hand-batched sodas are made on premises according to original recipes using only traditional, high quality ingredients including all natural pure cane sugar. Fitz's Bottling Works never use high fructose corn sweeteners in any of their sodas.